With two positions “Remain a member of the European Union” and “Leave the European Union”. British Cabinet ministers are having personal freedom to campaign for or against Brexit. 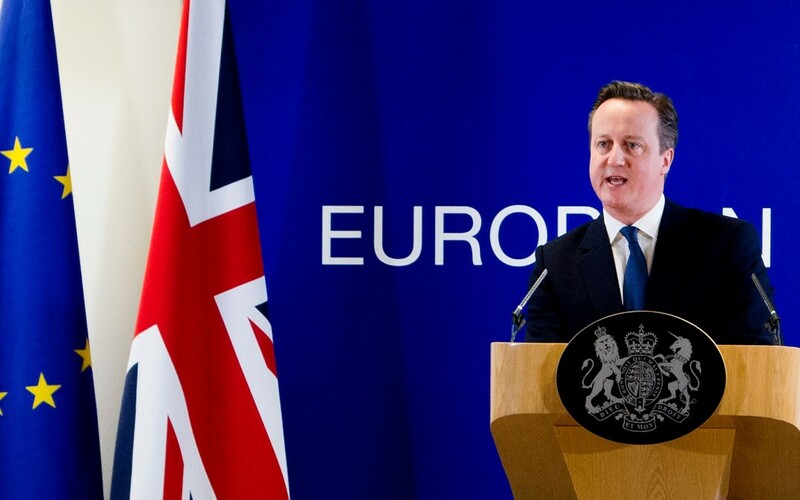 David Cameron in his speech announcing the referendum date recommended the British to vote for staying in the EU. He stated there is a need to reform Europe. Nevertheless, withdrawal would be a threat for UK’s economic and national security. According to British PM, Brexit supporters are offering a risk at a time of uncertainty. For instance, in case of accessing EU Single Market by British businesses or combating cross-border crime and terrorism. The Electoral Commission has a responsibility to register organisations or individuals who want to campaign in the referendum. Lead campaign group will be designated, for both, “Remain” and “Leave”, sides. Two official lead campaigns will be then allowed to spend a grant of £7m and get access to media broadcasts and free mailing. From a historical perspective it will be the second referendum concerning Britain membership in Intergovernmental Organisation. In 1975 the voters were asked whether the UK should remain in the European Economic Community (EEC) also known as Common Market. Cabinet members were also publicly campaigning. Seven of the twenty-three ministers were against UK’s EEC membership. On 5 June 1975, the majority of British voters (67%) decided UK to stay in EEC. Leave.EU – Cross-party campaign, co-founded by Arron Banks in July 2015. Britain’s fastest growing grassroots movement to leave the EU. Rival campaign of Vote Leave. Candidate for an official Leave campaign in the referendum. Vote Leave – Vote Leave, take control. Rival campaign of Leave.EU, created in October 2015, backed up by six Cabinet Ministers from Conservative party including Michael Gove, Secretary of State for Justice and Iain Duncan Smith, Secretary of State for Work and Pensions. Vote Leave postulates to become an official Brexit campaign in the referendum. Grassroots Out – Grassroots Out is a cross party campaign launched in January 2016, designed to bring together ordinary voters who want to back ‘Brexit’. It is supported by UKIP leader and MEP, Nigel Farage. Grassroots Out claims to become a lead Leave campaign. Business for Britain – business community exit campaign, coalition of 500 entrepreneurs, an alternative for pro-EU business pressure group – Business for New Europe. Better Off Out –cross-party campaign formed by Freedom Association in 2006. Britain Stronger in Europe (The In Campaign Ltd) is a most popular pro-EU campaign launched in October 2015. Campaign leader is Stuart Rose, former chairman of Marks and Spencer. Main actions consist of leaflet distribution and video campaigns with politicians, entrepreneurs and celebrities. British Influence – cross-party pro-EU think tank, founded in 2012 by Peter Wilding. Organisation is publishing policy reports on Britain’s role in global affairs, British Influence Scorecard and briefing papers. Business for New Europe – pro-European coalition of entrepreneurs. Founded by Finsbury’s chairman Roland Rudd in 2006. Campaign is an opposite and direct adversary of eurosceptic “Business for Britain” group. Scientists for EU – grassroots social media campaign run by British researchers to keep British membership in the EU.